An outreach program on U.S. student visas that was hosted by the Consular section of the U.S. Embassy in Dhaka last week was covered by me for the Daily Star, and it has been published today. 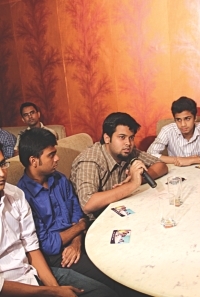 The program took place in Floor 6 lounge in Banani and included interactions between students, embassy members, comedians, and Bangladeshi students who had gone through the visa process and succeeded already. To read, check it out online, or buy a copy of the Daily Star today for the Star Campus magazine, found in practically every corner of Dhaka, of course. Getting a US student visa is like asking a hot girl out on a date. As local students gathered around the stage, comedy duo Naveed Mahbub and Muhammad Solaiman performed with a simple message- anyone can study in the US if you follow some easy steps- you do not need to go through one of the many visa- agencies around Dhaka. The performance was part of an outreach programme held by the Consular section of the US Embassy, designed and executed by Integrated Marketing Services Limited. Not just this act, the programme also comprised of an information session with consular members and a discussion with local students who have successfully obtained the go-to signal on their passports. Naveed Mahbub and Muhammad Solaiman. Bangladesh has a history of sending a good number of its brightest minds to further their education in the US, but even then, a stigma is still attached with the process of getting the actual student visa. The fear of rejection can sometimes deter students away from even trying. “Getting a visa to study in the United States is something that each one of you in the room is able to do by yourself,” said Vice Consul, Brigid Ryan from the US Embassy. But why do students from Bangladesh still get rejected from obtaining a US student visa? “Actually most student visa applicants are issued visas. Generally, Bangladeshi students are going to good schools to get a good education and they have the funding or personal finances to pay their way. The requirements for obtaining a student visa are posted on the State Department website and consular officers adjudicate accordingly,” explained Ryan. The three things to bear in mind for a US student visa application are: 1. Intend: showing that the sole purpose of your trip is to be a student, 2. Qualify: exam records, I-20 forms, academic marks, and proof of admission, and finally, 3. Fund: proving you can actually afford to study in the US, whether through scholarships or personal support. Often, prospective students may miss out on one of the sections, or use a middleman to go through the entire process which will guarantee a rejection. “I found the session really helpful, especially on factors like CGPA, GMAT and TOEFL scores,” explained BBA major Synthia Afreen from North South University who would like to pursue her MBA from the US. Sometimes funds are not easy to come by for you, despite being accepted by a top tier American university. In that case, the US embassy will try to assist you in going abroad. This is when high results on standardised exams such as the SATs, GMATs, and GREs become especially crucial for the US student visa. As for intend, not only do you have to prove that you will only be a student when you go to the US, but that you also plan to return to Bangladesh after completing your desired degree. “I was a bit worried about the intention to return. In case this question arises, it will be easier for me to prove because I am a faculty member at BUET,” explained PhD bound Mukhlesur Rahman, who will be entering Northeastern University in Boston this fall, while sharing his experience with the visa procedure with the audience. 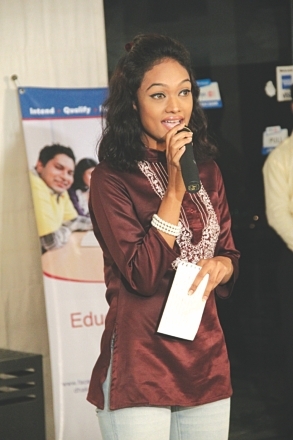 Acquiring an American education is still highly popular among Bangladeshi students, many of whom cater their academics around the prospect from an early age. Not only for the Ivy League academic rigor, but many students aspire to study in the US to experience the American cultural lifestyle. To get more information about the US student visa process, find information on facebook under “US Embassy-Dhaka”: facebook.com/ bangladesh.usembassy. Sexual harassment on the streets is also a form of violence, argues OLINDA HASSAN. The laws governing violence against women have made their presence in Bangladesh. From Acid Crime Control Act (2002), to legally declaring eve teasing as a form of serious sexual harassment early this year, crimes that violate a woman — verbally, physically, emotionally — have been, and continue to be addressed by politicians, advocacy groups and NGOs. Violence against women has a history in Bangladesh. Street harassment against women has also been addressed in some form or the other, usually categorised in the eve teasing form. Defined as being violated — usually verbally — in the streets, this form of harassment is not just limited to the common traits of female victims, or those of a lower social standing, poor and uneducated. Unwanted or solicited attention is given to women of all backgrounds in the streets, in all parts of the city, by all “types” of men. In most of the cases however, commonly, the woman is the subject, the man the predator. It is also something that women face worldwide; The Egyptian Center for Women’s Rights reported that 83% of their women faced street harassment at least once in their life, and similar statistics were found for South Africa, Mexico and France, to name a few. With urbanisation and the rapid population growth in Dhaka, women inevitably become more prominent in the streets. Women from all social backgrounds are joining the work force or institutions for higher education in large numbers in the capital, as opportunities for female participation increases. This trend is certainly a triumph in the modern women’s movement of Bangladesh. But with participation comes the notion that sheltering these very women is absolutely necessary. Families with vehicles — another increasingtrend in the capital — will go out of their way to make sure that the women in the family have the priority in transportation. Women are being told to be careful every time they leave their homes, or being told to not go out at all. Working, educated women from the middle to upper middle class are deterred from taking public transportation and being out late at night, both for safety and for preserving certain societal reputations. It is very evident therefore, that the ratio of the two genders in the streets of Dhaka is still overwhelmingly in favour of men. The fear of violence and harassment has led to a series of rules and regulations (often implied than said) imposed on women and their mobility. Women have also been long taught to ignore such harassment, especially in the streets. Since childhood, women, whether educated or not or wealthy or in poverty, have been told to avert their eyes, look away, and keep walking, and not say anything when they are verbally violated in public. This comes from the fear of being further endangered, but more to do with being humiliated in public. The concern is the disgrace of the victim in public, not of the aggressor whose action goes unnoticed and in turn, avoids his humiliation as he is not confronted but ignored. This then gives him the false idea that he can continue his behaviour in public. 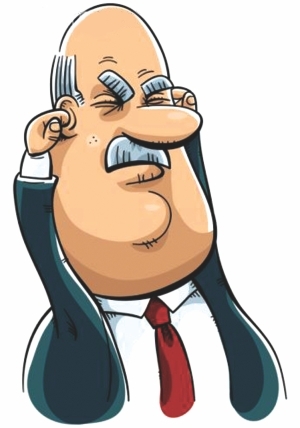 Women are also being told to ignore by other women, as commonly observed by mothers and other older female family members. These members from a young age are giving the impression that they are powerless and must thus simply ignore, that being harassed in the streets is inevitable but avoidable via ignorance. The long standing ideological belief in the “modest” Bengali woman of this culture often promotes such ignorance. Poor urban women for example are often stereotyped as having lower sexual morals, further making them not speak out in public for the consequence of being even more marginalised for their gender. Women, especially those who do not have an access to a private car must change their lifestyle, such as in the way that they dress as a social protection and in order to fit into this ideology and avoid street harassment instead of waiting for the act itself to terminate in society. The violators in turn quickly realise that they will not be held responsible, and gain further confidence to continue harassing in the streets. Are women supposed to follow the social norms of staying home after sunset and dressing “appropriately” in order to avert such attention? What would happen if more women were to act out and confront the violators, in public? Would it really be that threatening to their modesty as a “good” Bengali woman? Let us assume that public transportation has suddenly become much safer in Bangladesh, for men and women: the rate of hijacking, robbery and threat has significantly decreased, if any at all still occur. Would the roles of women in the streets then change? This question must be asked because, along with violence against women being part of the country’s history, oppressing women by forcing preventative measures (such as ignoring violators) have also become rooted in the historical culture of Bangladesh. And cultures are difficult to change. Women are increasingly sharing the household income and participating in higher education in Dhaka, a city that is also urbanising at a rapid rate and in a suffocating way. Modern politics encourage such female participation. And for those that are able, women are often being sheltered away in their activities, being told not to be in the streets too much and be in their private shells. Thus, the streets are still overwhelmingly dominated by men. However, what if more women did make their presence known? What if more women had the courage to be independent in their travels? Would the streets still continue to be a boy’s club? We all know of a woman, if not ourselves, who have had at least one form of a story to tell about being harassed in the street. The consequence of ignorance is the continuation of a type of crime that while it may not be considered violent, is as cruel as any other form of violence against women in Dhaka today. Olinda Hassan studied Political Science at Wellesley College, USA, and is currently a Fulbright Fellow in Bangladesh. Fashion in Bangladesh is much like the streets of Dhaka. They reflect changing patterns, unexpected colour mix, and is the meeting point of sudden chaos and quiet. It’s moody, it’s traditional, and it is also in a transition between the old and new. Fashion in Bangladesh doesn’t want you to forget its history. As more styles and materials enter the market from the outside however, it can sometimes be difficult to hold onto this Bangladeshi fashion that we speak of. With the demand to look unique, an abundance of new boutiques with distinctive names have started to crowd Dhaka. Designers and fashion houses have begun to fuse influences from abroad and within, creating new lines of work that are meant to be contemporary. Additionally, more from the outside is coming in- Indian katan, Pakistani cottons, Jaipuri colours, South Indian embroidery, etc. The hustle to look exclusive has led to an increase in this demand for foreign clothing and often, foreign styles. Namely, Indian fashion has flourished, not only with its import but also with the rapid copying of designer’s items from Mumbai and Delhi. Many boutiques will proudly boast that they only sell imported and thus “exclusive” pieces. While this takes place, we must ask, what then, is the Bangladeshi style? 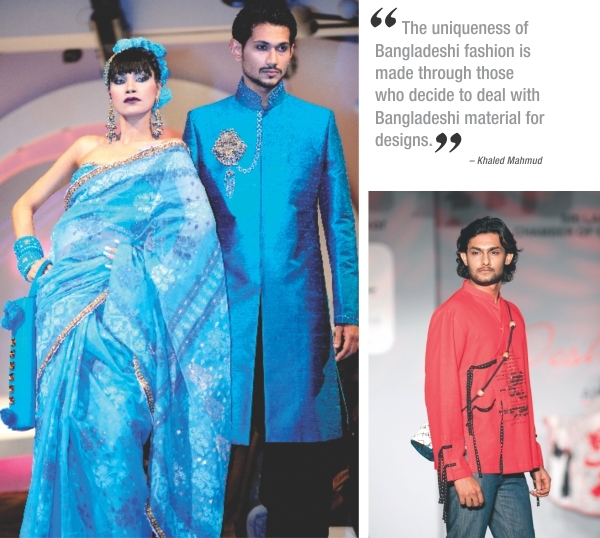 What makes Bangladeshi fashion, Bangladeshi? While clothing from the “outside” is heavily popular, a number of boutique houses have also started to claim clothes and accessories only bearing roots to the homeland, whether that’s reflected in the jamdanis, the muslin, cloths bearing prints from local artists, or bringing in tribal motifs from far edges of the country. “When speaking about ethnicity, I fuse tribal with East and West, and I incorporate my own prints, take from the history of Bengal…a huge diversity of culture is used, from languages and scripts and applying typography in my work”, explains Aneela Haque, prominent fashion designer and founder of her line, AnDes. “The uniqueness of Bangladeshi fashion is made through those who decide to deal with Bangladeshi material for designs,” says Khaled Mahmud, Director of the ever expanding Kay Kraft boutiques. Khan describes how in order to discuss what makes Bangladeshi fashion unique, we must talk about the weavers and their handlooms in the country. The blend of traditional weavers and today’s designers’ inputs has brought together distinctive deshi materials, allowing for more experimentation with hand weaving. Maheen Khan, leading designer and head of her own boutique Mayasir describes how a piece that uses our tradition and our own textiles is what makes it Bangladesh. “Our middle men’s work, our cultural intervention, the calligraphy, folk art, Dhaka’s jamdani…this is what makes our fashion,” she adds. Bangladesh is also famous for its khadi, dating back to the 1930s when Mahatma Ghandhi excited the regional people, advocating wearing clothes from the homeland to express nationalism and an appreciation for tradition. Hand spun cotton thus became popular in Bengal, continuing its wear beyond independence. “Although it has been thought that only the intellectuals wore khadis, I somehow always liked this rugged, uneven, rough textile which is very unique and something that makes you stand on your own…it has that ethnic feeling about your own homeland,” says Aneela who has been inspired by it and uses it along with tribal motifs to contrast Bangladeshi fashion in her line. The way that the clothes are worn, and the way they are cut and composed is equally important in defining and motivating Bangladeshi fashion. “The traditional sari is very symbolic, but only if it can be worn nicely and encompass her as a whole,” expresses Khaled Mahmud who encourages not only the creation of quality saris bearing our roots but wearing them appropriately. Further, while many cuts exist for the shalwar kameez, the Bengal region used to be known more for the long, lean, floating kameez combined with fitted churidar styles, layered heavily at the bottom. While this style has been the rave in Pakistan for some time already, it actually originates from Bengal and has just started to appear this season in Bangladesh. “The churidar makes one look slim, but many won’t try it because they are not comfortable in it. I have tried to encourage it with different cuts that are more pant style, and also used a lot of ethnic cuts and straight, long churidars,” says Aneela. Attempts to introduce the long, flowing kameezes both in simple cotton and heavier material with ornamentation, combined with wider ornas has been observed recently, such as at Aarong and Mayasir on the runway. In the city, you will be struck by vibrant colours and contrasts, along with the more subdued and tame, working together to create the feelings that have defined the urban culture. AnDes for example use very vibrant and solid colours that signify the low paddy fields, the changing blue skies and green fields that plaster the subcontinent. Beads and shells are used in the saris to incorporate the flat lands and the hill side of Chittagong and the seas, and calligraphy from our famed poets who spent time travelling around the country. Designers in Bangladesh have also tried to fit their latest clothing to the current seasonal changes in their colour palettes. Since Eid will fall near the end of the summer this year, fashion houses such as Kay Kraft consider this fact by paying attention to the colour schemes that represent the summer and its rain by incorporating a palette of blue hues and whites to vibrant oranges in their salwar kameezes and cotton saris. Block prints, hand woven materials and dyes made of ingredients that pay homage to Bangladesh have been gaining prominence among many designers, finding its place on the shelves of many leading boutiques. Aranya’s locally produced silk saris in purely natural dyes has continued to attract attention, and it has expanded its collection this season by including more endi cottons and block prints that capture the traditional Bangladesh, especially in their saris. These native elements as integrated by designers work to define the Bangladesh in fashion, among shelves of other South Asian work. Even then, with all the movement for bolstering domestic goods, there is still a strong preference for the outside, such as those from India. Many designers for example will bring in cloth and materials from India and patch them together in Bangladesh, confusing its association- is this Bangladesh that I am wearing, or India? Further, the line between carefully crafted designer fashion and designs that are simply copied in bulk claiming to be boutique also makes it difficult to look for authentic styles. With a partiality for India ever present, the Bangladeshi market in turn is being interrelated and even changed. Thus, sometimes identifying what is the Bangladeshi trend becomes complicated. As fashion moves forward, this question will have to be asked, and it will inevitably be on the minds of designers and buyers. The return of the jamdani saris for example is deeply attached to the tradition of weavers in Bangladesh, albeit the cutting and infusing it with other materials that has appeared recently. “It took a long time to achieve a standard for the jamdani,” said Maheen Khan, however “adding chiffon and embroidery to it and calling it a trend is mutilating the tradition. We should encourage weavers to produce better weaves instead of making a big mess of the jamdani. The weave itself says a thousand words.” Browsing through the many new boutiques, more and more people are purchasing jamdanis, block prints, Banarasi silks, etc. that have been mixed, cut, and contrasted with different materials and styles in an attempt to make it look contemporary and individualised. With this trend, it can be observed that fashion in Bangladesh is not only trying to hold onto its own creative roots, but also finding a way to change it so that they will be worn by those who also want exclusivity. As Bangladesh itself is being increasingly exposed to the outside, it is inevitable that this will come with outside influences, especially with fashion. And fashion is very much alive in Bangladesh, just like the world; it is estimated that people spend over USD$1 trillion per year on fashion worldwide, after all. Fashion extends to everyone, to all generations and economies. As Khaled Mahmud echoes, “We have to use all the techniques of ornamentation available in our country and strategically so that people from a wide range of backgrounds can enjoy our Bangladesh’s fashion.” As for today, keeping up with the transitions and an increased focus on just looking good and different does not mean that the modern individual should forgo their own country’s fashion, even if mixed and matched, but most importantly, represented. “Every culture has its own heart and for us, if we lose our culture we don’t have much left,” points out Maheen Khan.